From left, Andrea Harrington and Paul Caccaviello. Typically, voters pay close attention to a race for governor or senator, but a district attorney? Not so much. But that's the case this year in Berkshire County, where violent and drug-related crimes are big concerns. Graham Dean stepped out of the wind next to the Great Barrington, Massachusetts, post office. He's lived in Berkshire County for 36 years, and said the district attorney can play a powerful role. "They are actually very important people in determining the course of justice,” he said. But what is justice? And how to achieve it? For many, these questions are at the heart of this election. And for others, like Pittsfield resident Richard Kline, the biggest issue is on the street. "The city should be safer, 'cause there’s too much drugs around here," Kline said. Darlene and Tom Nichols walked on North Street in Pittsfield. Darlene said she wants a DA tough on crime. “More stiff on penalizing people,” she said. 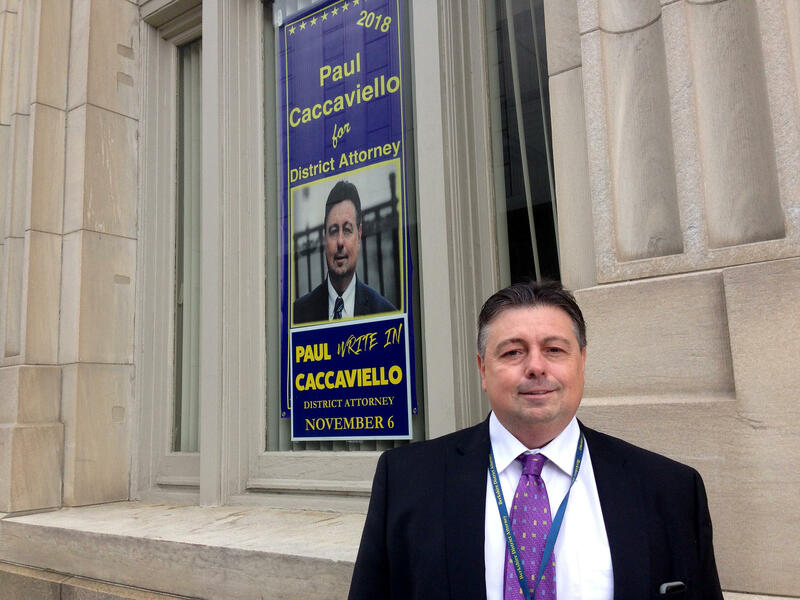 Her husband, Tom, supports Paul Caccaviello, the current DA, because of Caccaviello’s 30 years as a prosecutor. "Experience. I think Paul is the right guy,” he said. But Ed Abrahams, who sits on the Great Barrington select board, said the DA’s office has sometimes imposed sentences that were too harsh in the past. "Putting people in jail isn’t the answer," Abrahams said. “Sometimes it is, but sometimes it isn’t. And Andrea is the first one to come forward and say, 'I will look at that.'" 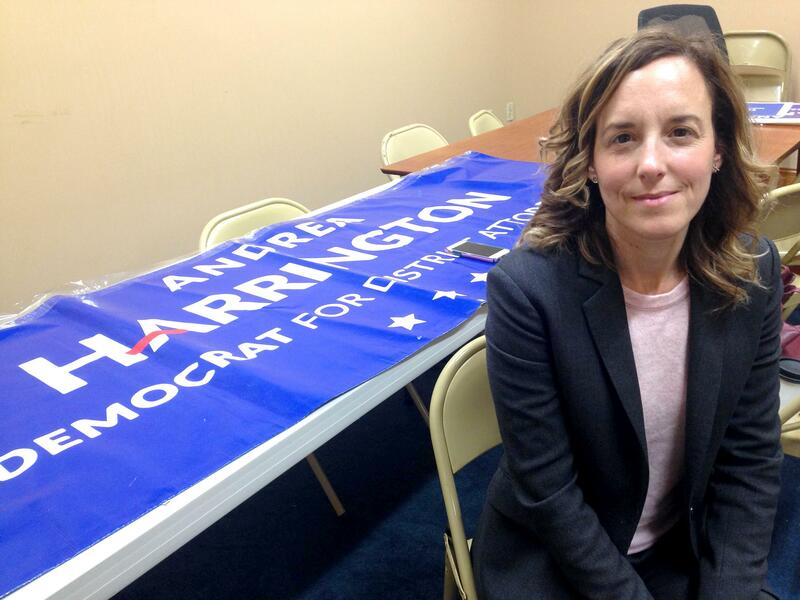 Andrea Harrington is an attorney who won the Democratic primary on a criminal justice reform platform. She criticizes the DA’s office for what she calls a war-on-drugs approach to crime. "They act like they think they are going to prosecute their way out of the drug problem," Harrington told NEPR. "And if that worked, we wouldn’t have one of the worst opioid problems in western Massachusetts." In North Adams, five or six people died from opioid-related overdoses every year from 2014 through 2017, according to the Massachusetts Department of Public Health. In Pittsfield, there were 11 opioid-related deaths in 2017 -- down from 19 deaths the year before. Harrington said a lot of her clients in district court have low-level, non-violent offenses, along with drug and mental health problems. She’s calling for programs that divert those people from jail. Berkshire District Attorney Paul Caccaviello lost to Harrington in the September Democratic primary by a little more than 3 percent. Now, he’s running a write-in campaign against her. Caccaviello said he approaches prosecution on a case-by-case basis. Caccaviello practically inherited the position of district attorney after his longtime boss, David Capeless, retired earlier this year, and asked Massachusetts Governor Charlie Baker to appoint Caccaviello district attorney. And the governor agreed. Caccaviello said his decades in the office make a difference. Harrington has practiced law for 15 years. Now she represents plaintiffs in employment litigation. She has also done criminal defense and family law. Two years ago, Harrington ran for state Senate and lost. She said that by entering politics, she can make change on a bigger scale, including in the DA’s office. “What I see in the courts is that the office is very aggressive with easy drug cases, but not so much with the tough sexual assault and child abuse cases,” she said. Caccaviello said he's in the process of starting a domestic violence unit with a victim advocate and an assistant district attorney. “It allows us to devote, in a busy court, an advocate and an ADA to that particular case, so that we can better serve and have justice for that particular case," he said. Since the primary, Caccaviello has raised about $40,000 more than Harrington -- including $13,000 of his own money. That's plenty of cash to make videos and hand out business cards that explain how to write his five-syllable name on the ballot.